Almost calorie- and carb-free noodles, you say? Awesome! This spicy chicken noodle dish is a great source of protein. Enjoy its intense flavor without worrying about fat and carbs. Heat coconut oil in large saute pan over medium heat. Saute sliced chicken for 5-7 minutes. Add minced garlic, red bell pepper, onion, and broccolini to pan and continue to saut? veggies until they begin to soften. Add all spices and continue to stir. Add coconut milk, soy sauce, lime juice, curry paste, Sriracha, and sweetener. Let simmer for three more minutes. Prepare noodles according to packages directions. 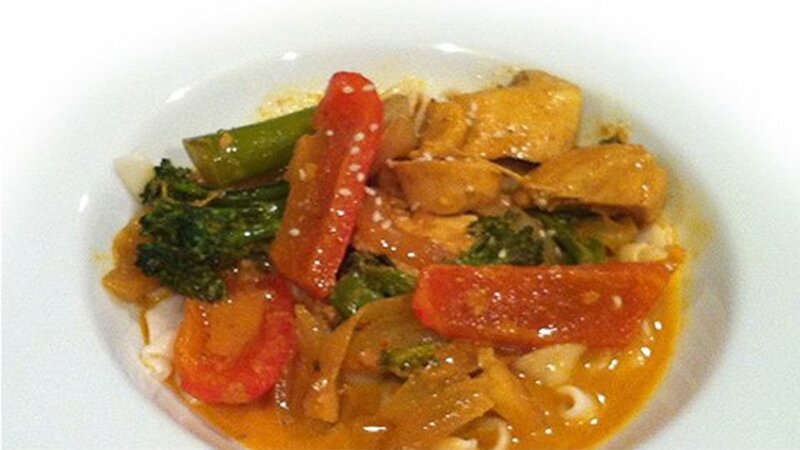 Serve noodles in a bowl and top with chicken-curry mixture!